Industry giant, Coca-Cola, is without question one of the most renowned and identifiable brands the world over. For over 100 years, Coke has proved to be an indisputable market leader and has set the standard for what it means to be a successful global brand. An article published by Shahrzad Warkentin on Smartling.com entitled, What Can We Learn from Coca-Cola’s Global Marketing Success, provides insights into instrumental tools that have led to the company’s global brand dominance and successful marketing strategies. The first key element is as focusing on simplicity. 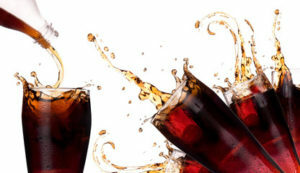 Coke has an extensive product portfolio and operates in nearly every market across the globe. It’s hard to believe that any strategy of this scope can be based around simplicity. However, the mega-brand, for over 100 years, has yet to deviate from this concept. Regardless of the market that the brand is participating in, Coke embodies a consistent, modest image: providing pleasure to consumers. This is seen in campaigns that embracing notions like, “Happiness” and the motto, “Enjoy”. Coke consistently promotes a strong, effective brand image by capitalizing on universal human emotions. These societal concepts are valued regardless of market location and have enabled Coke to have a consistent brand image on an international scale. Another crucial factor that contributes to Coke’s global brand power is personalization. Even though Coke is considered one of the most iconic global brands to ever exist, the market-giant has not neglected the power of connecting with consumers on a local, personalized level. Coke offers a unique, tailored, and market specific product offering in each market segment in which they operate. Through capitalizing on human universals, like happiness, Coke is able to keep their brand image consistent. However, the brand adapts when its needs to in order to increase consumer value. They successfully and efficiently implement a “localized positioning strategy to a global market”. Today’s market is characterized by constant innovation. Given that consumer technologies are consistently shift demand, preferences, and trends, it’s not surprising that socialization plays another key role. User-generated platforms serve as an invaluable tool in building brand image, especially on a global scale. Firms can reach consumers across the globe instantly and simultaneously. Coke implements strategic social media strategies to engage consumers and further ingrain the brand in their mind. So, to answer the question, what can we learn from Coke? In short, we learned that fostering human connection and embracing universal human values is key to establishing a consistent global brand image. India: The Next Battlefield Between Walmart and Amazon.